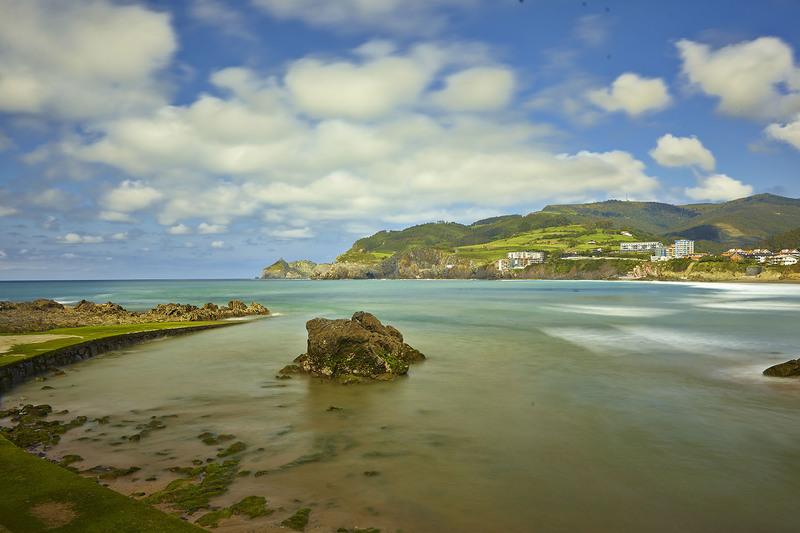 This coastal town and its surroundings have much to offer visitors, including the warmth of the local micro-climate – the result of the particular geography of this part of the Cantabrian coastline, combined with its protected location at the heart of the valley. All this makes Bakio a specially fertile, even Mediterranean-style place, producing crops normally better suited to those latitudes, including citrus fruit and vines. We must give a special mention to the grapes harvested on the slopes surrounding Bakio which have made the town the birthplace of Biscay txakoli. Bakio is a town which combines perfectly rural life and tourism, tradition and modernity. One of its most treasured possessions is its spectacular beach, the longest of Biscay, which welcomes surfers to the best waves on the Cantabrian coast. The coastline belonging to this municipality also boasts the Biotope of San Juan de Gaztelugatxe, reknown for its ecological, cultural and historical value.